Q. 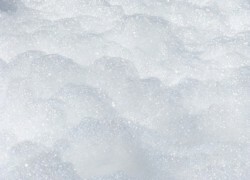 How do we go about reducing foam suds in our 1% Liquinox ultrasonic bath? We have 3 ultrasonic tanks in our series process. Bath 1 has the 1% solution. Bath 2 and 3 are a rinsing cascade system with RO water only. The foam is building up in tank 1 and then transfers to tank 2. A. This type of rinsing process is very much one of our recommended rinse processes. In the presence of a foaming agent, like Liquinox® Critical Cleaning Liquid Detergent, foam forms with agitation at a gas-solution interface. So one approach to reducing foam is to decrease agitation. If the parts are being rapidly withdrawn from tank 1, which creates agitation and makes foam, you can reduce foam by withdrawing the parts more slowly from tank 1 with less energy. Another approach is to pull the parts out of tank 1 and suspend them closer to the bath for dripping. Holding the parts slightly above the surface (but not higher) of tank 1 to drip off will also reduce agitation energy and make less foam. You can also use a defoamer like a spray bottle with isopropyl or other alcohol in it that will knock down the foam periodically (but will not stop it from coming back). A small amount of alcohol in tank 1 will not interfere with cleaning and will rinse and evaporate off if the parts are contacted. 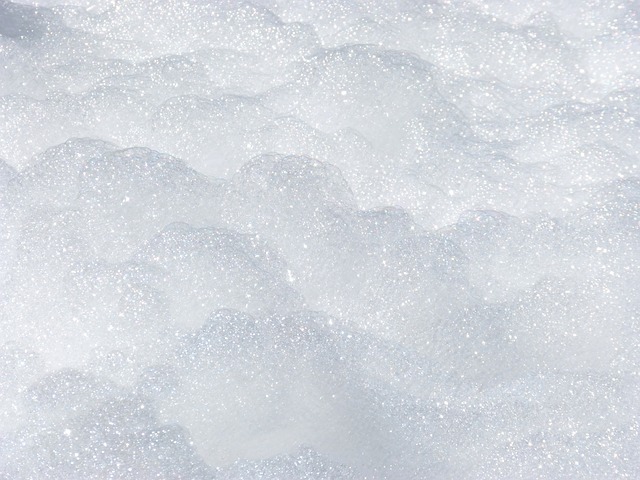 For reducing foam, what we do not recommend is the use of an antifoam (a permanent foam decreasing additive) such as silicon oils as these tend to reduce detergency, sit on the surface, and deposit on parts as they are being withdrawn from the bath. You may also consider using a low-foaming detergent in the ultrasonic tank. We would be happy to discuss further which one. ← What is Keylajet detergent?